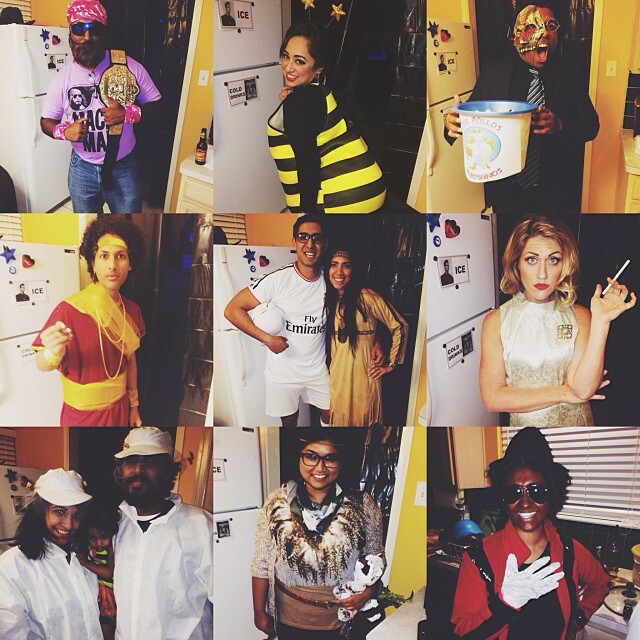 And all the peeps that attended actually dressed up! All of the costumes were creative. 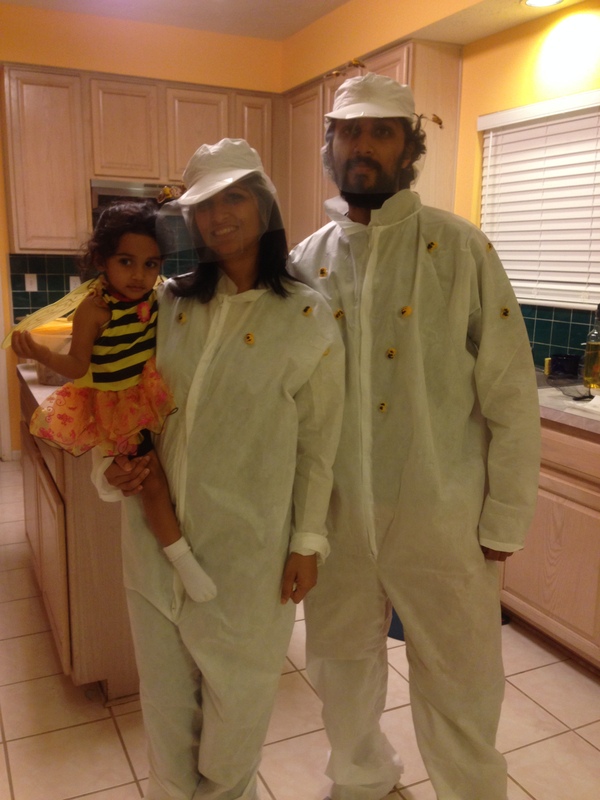 Sheena and I were bee keepers and Layla was a honeybee. Here’s sample of the other attendees! These pics are courtesy of KJoy’s Facebook page! It was a blast! Any visit to the Thomas residence is never without delicious food. (side note, is “never without” a double negative?) I wanted to eat more, but there wasn’t enough space in my body! 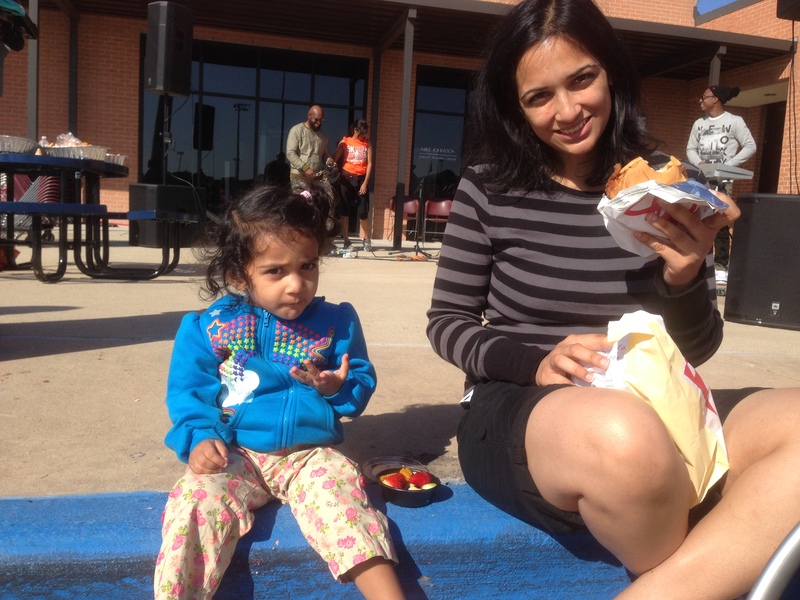 We had to leave relatively early because.. well we had a child with us and we had a 5K the next day to attend. 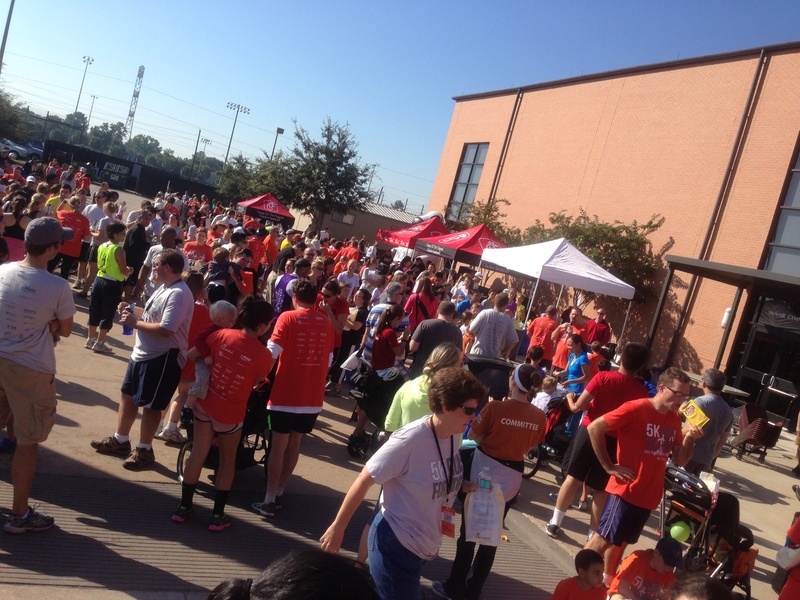 I say “attend” the 5K, because that is all we did. I wasn’t prepared to run (although I knew about this for months!) My cousins Wes and Kasey Mathew headed up The Run for Hope, which benefits those that are looking to adopt. 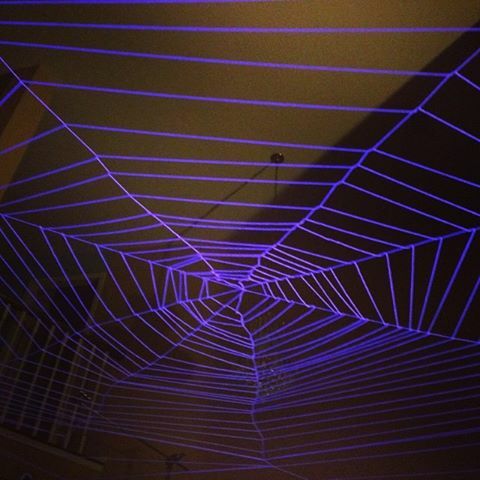 They started it last year and this past Saturday was there 2nd one. There was a great turn out and everyone I spoke to had a blast! Everyone that registered got some good ole chickfila. Although we didn’t run, didn’t mean we weren’t hungry! We posted up on a curb and grubbed down. After the 5K, the gals were pretty tired, so they changed into matching outfits, like any mother/daughter duo would do on a Saturday, and just hung out for a bit. While they rested, I was able to run some errands like change my oil and stuff like that. When I came back, I found Sheena watching Lifetime movies (plural)! I couldn’t believe it! My daughter was in the same room with her! Sheena gave me a brief synopsis of what the movie was about and I almost fell asleep during the description of it! I couldn’t allow my innocent child to be around that type of nonsense, so I grabbed her quickly and we hung out at my parent’s house for a bit. My Dad and I are in a beard growing competition, so I needed to snap a picture of the progress. Layla insisted to be in the picture as well. 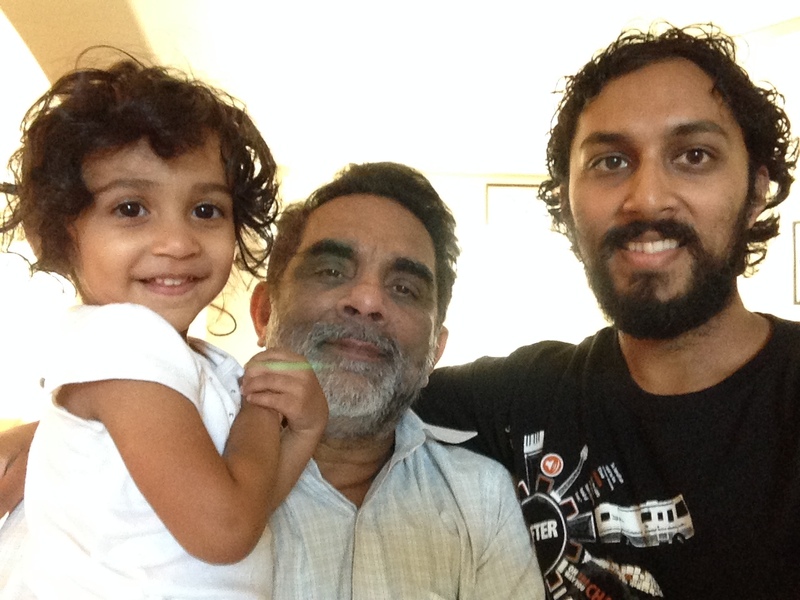 By the way, my Mom hates Dad’s beard! hahaha… It’s fun to watch her complain about it. 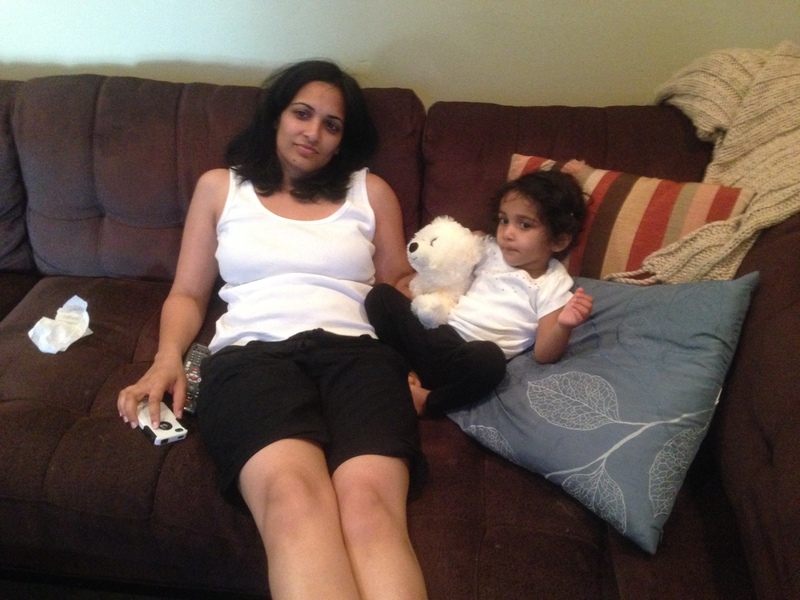 After Sheena was done watching her Lifetime movies, we wanted to hang with some friends…. Remember when I spoke about the really good food at Tim and Jessica’s house? Well, we “accidentally” left one of Layla’s sippy cups there from the night before. It happened to be Layla’s “favorite” sippy cup and we “absolutely” needed to get it right around dinner time. Luckily Tim and Jess caught the bait and we were in for round 2 of that delicious food! While we were there, I noticed this on the chalkboard: This can only be from one person. Sherene “No Hugs” Philip. I just think she needs more hugs to fully understand how important they are, so if you see her, please do her the favor of giving her a big hug! 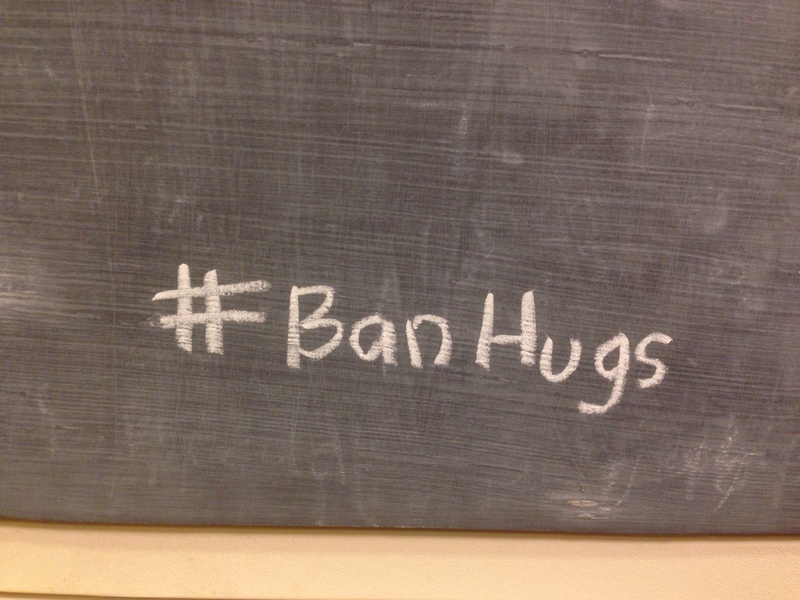 After you hug her, end it by saying “#BanHugs”, so she’ll know the hug was inspired by this blog. Sunday morning Sheena was scheduled to speak to the HYPF combined meeting Sunday School group. 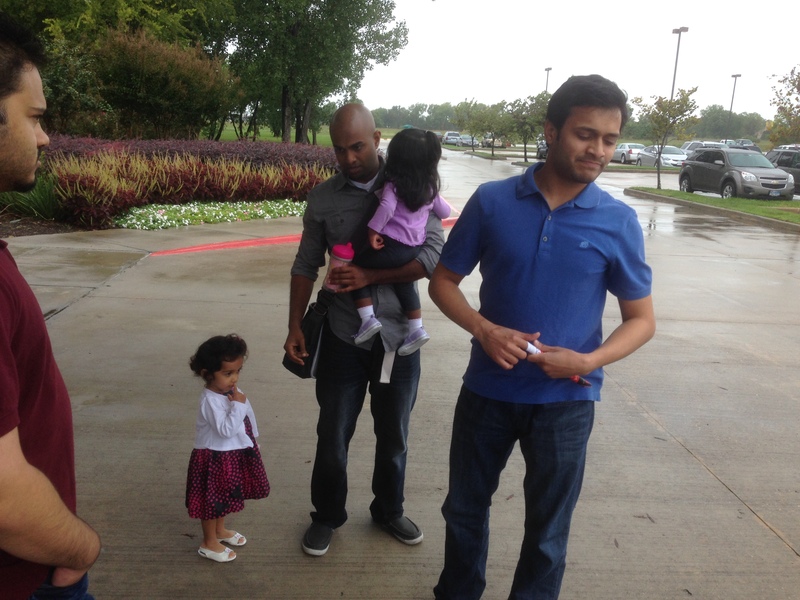 While she was there, Layla and I joined some friends at The Bridge Fellowship in Sugar Land. 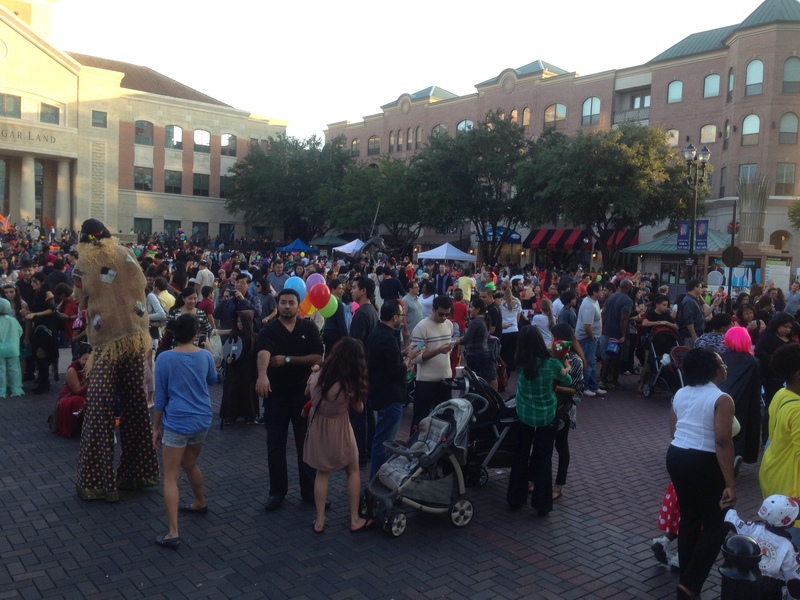 After church we just hung out for a bit then headed to the Sugar Land Town Square for their Halloween event. It was packed! We knew some of our friends would be there, but there were so many people that there was no way to find ’em. 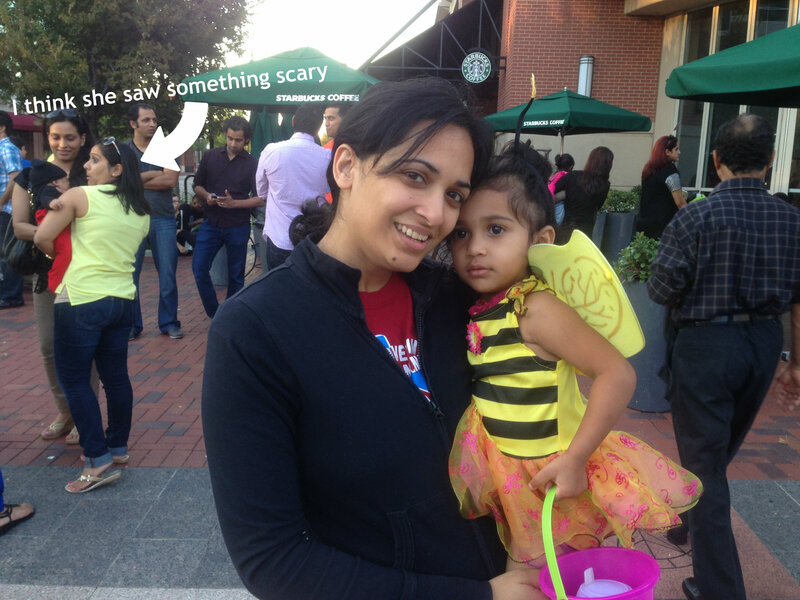 Layla was dressed as a cute honeybee, but there were some scarier costumes that were out, (just look at the expression on this lady’s face!) Overall, a really fun weekend. Have a great week everyone! you are a double negative.